Walking with Jesus: Day 55: Matthew 24:29-51 & Psalm 56 - What Should We Do to Prepare for Jesus' Coming? 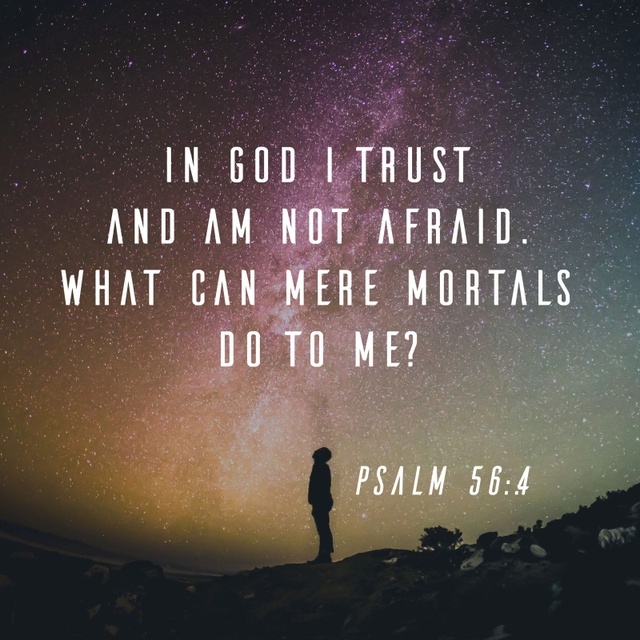 Day 55: Matthew 24:29-51 & Psalm 56 - What Should We Do to Prepare for Jesus' Coming? What Should We Do to Prepare for Jesus' Coming? But concerning that day and hour no one knows, not even the angels of heaven, nor the Son, but the Father only . . . Therefore, stay awake, for you do not know on what day your Lord is coming. 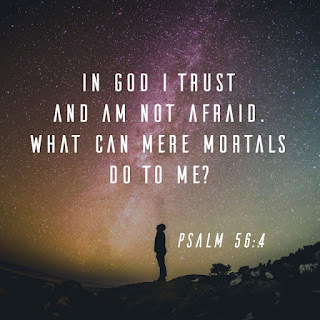 But know this, that if the master of the house had known in what part of the night the thief was coming, he would have stayed awake and would not have let his house be broken into. Therefore you also must be ready, for the Son of Man is coming at an hour you do not expect. No one knows when Jesus will come again. Jesus really could not have been more clear about this truth, but still people have made their predictions. I remember a book I saw in a Christian bookstore on clearance in the year 1990. It was called, 88 Reasons Why the Rapture will be in 1988. About five years ago, Harold Camping made the news with his bold and public prediction that May 21, 2011 was the final judgment day. This was followed by a bold prediction of Earth Destruction Day on Oct. 21, 2011, complete with the slogan: "The Bible guarantees it!" No, the opposite is true: The Bible guarantees that no one knows the day and hour. Know this for certain, then: Whatever date someone publicly predicts will be the date of the Second Coming of Jesus, Jesus will not come on that day! So, if we can't calculate the date of Jesus' Second Coming, what can we do? 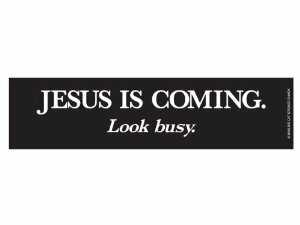 Some people have jokingly said, "Jesus is Coming: Look Busy!" Jesus doesn't want us pretending to be busy so we can impress Him when He comes. But He is certainly coming soon. When is "soon"? As Aslan says in Narnia, "I call all times 'soon.'" Be worshiping. God desires our worship because He desires us and He knows that our hearts were made for Him. To paraphrase John Piper: We are most satisfied when we glorify Him and He is most glorified when we are satisfied in Him. Be serving. Jesus has called us to serve one another, just as He has served us. He is our servant-Savior, and we follow Him when we serve others. Be obeying and repenting. The wicked servant in today's passage (vv. 45-51) takes his master's delay as an excuse to sin and abuse his authority and abuse his fellow servants. Jesus warns us not to be like that servant. Instead, we need to strive to be faithful and obedient to His will and to repent quickly when we fail.